By Mario Alexander on November 19, 2018. Insurance is important, because it protects us from loss. Most people have some sort of insurance coverage, either through our employer or through a family member's insurance plan. There are many different kinds of insurance products on the market nowadays. Life insurance is one of the more popular types of insurance. It is commonly purchased by individuals, families, employees and employers. The rates and types of coverage depend on the kind of policy that is purchased. You can read more at www.insurancehero.org.uk/reviews/one-family-life-insurance.html and other sites about the different kinds of policies that are available. You can find out about the types of coverage, the types of death benefits that are offered and what the average monthly premiums should be. You can even request a quote online or directly from your local insurance provider. It can pay funeral costs and other expenses. A good life insurance policy can help the family pay for funeral costs and other related expenses. It can also help with other bills and expenses, such as child care or helping the surviving parent pay other monthly bills. The death benefit can also help pay off loans, mortgages or other financial obligations such as credit card debt or tax liens. It can help pay for college. Certain life insurance policies can allow part of the benefit to be put towards a college savings plan. You can talk to your insurance agent about the different options that are available. Some policies have certain tax advantages. Other policies build cash value throughout the policy's term. 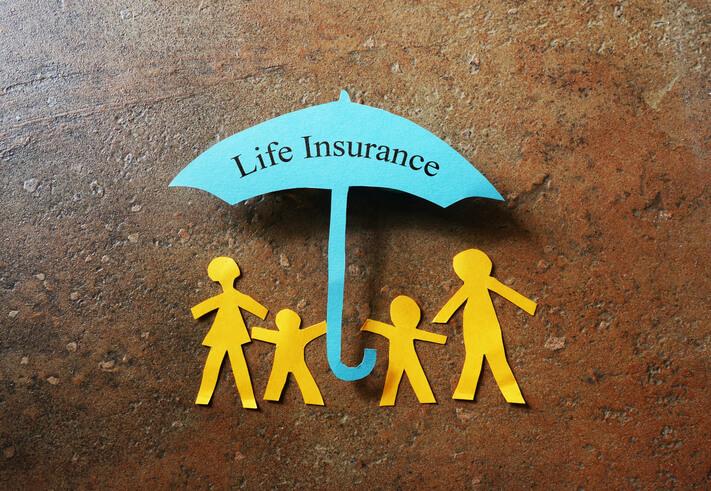 Make sure you weigh the pros and cons of such options before choosing a life insurance policy. It can assist with retirement savings. Some life insurance benefits can be used to replace future contributions into a retirement plan. You can take withdraw cash or borrow against certain policies for this purpose whenever you choose to. Just be aware that these actions can also lower the overall death benefit on such life insurance contracts. Life insurance can provide additional support in your later years. Some life insurance policies can have a daily living rider. This addition allows for earlier access to the policy's death benefit. It can help with health care costs for current health care concerns or any chronic illnesses. It can help make the transition to retirement age a lot easier. Any unused funds from the death benefit would go towards your surviving spouse or partner after you pass away. Such riders are usually added to the life insurance policy when it is first issued. These are just some of the main reasons why having an active life insurance policy is important for your family's future. It can provide security for your loved ones long after you're gone. It helps ease any financial burdens that they may encounter and gives them less reason to worry. They can concentrate on paying the bills that need to be paid and allowing them to go on living healthy, productive lives.